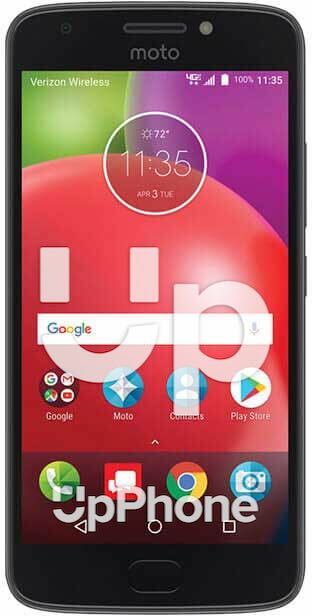 Motorola Moto E4 Price, Review, Deals, Cost, & Sales! Home / Compare Cell Phones / Motorola Moto E4 Price, Review, Deals, Cost, & Sales! The Moto E4 is one of Motorola's budget phones packed with great features and looks stunningly beautiful. This device comes with an 8 MP f/2.2 rear and a 5 MP f/2.2 front camera. It can record videos of up to 1080 resolution @ 30 fps. The camera produces decent photos in well-lit environments but does poorly in darker areas. For the storage, it has a 16 GB onboard capacity and supports up to 128 GB external space via microSD. While the Moto E4 Plus has the 16/32 GB and supports up to 128 GB external drive via microSD. The Moto E4 has a single front-firing speaker which doubles as an earpiece. It is loud with little distortion at higher levels and is in a good spot for a speaker. It has a front-mounted fingerprint sensor which doubles as a home button as well. It is quick and is very accurate. This device runs on Mediatek MT6737 Quad-core 1.3 GHz Cortex-A53. Performance is good with average use but if you push it hard, the phone will slow down. While the Moto E4 Plus has the much faster Qualcomm MSM8920 Snapdragon 427 Quad-core clocked at 1.4 GHz. The Moto E4 has a small 2800 mAh battery considering that it has a 5" display. However, it performs surprisingly well and is able to carry a charge for at least a day of moderate use. Moreover, it supports fast charging and will fill it up in under two hours. The Motorola Moto E4 is very affordable considering the many features it has. This device is capable of recording 4K videos. The phone comes with Android 7.1.1 Nougat pre-installed. The Moto E4 has an FM Radio. It comes in Iron Grey, Blush Gold, and Oxford Blue colors.